Home Betting System Reviews Rebel Betting Review – Is it worth the high monthly fee? The majority of the people who spend time and money on online sports betting are losing in the long run. The simple reason is their desire to guess the outcomes which is so fundamentally wrong. 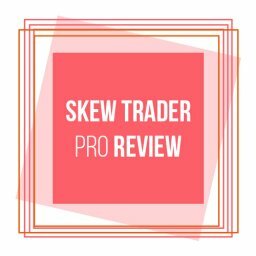 In this article I’ll be doing a Rebel Betting Review. If you take this route, the bookies have an enormous advantage against you and the mathematical edge in the long run. You are doomed to keep losing money again and again. But we all know that some people are actually ahead from sports betting, so it’s not impossible. There are a couple of different approaches that could work and one of them is finding opportunities for arbitrage betting. This is exactly what the Rebel Betting software does. 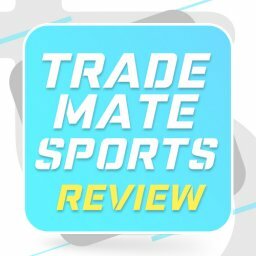 I’ve decided to create a detailed review of the service, as it’s the most popular in the world. 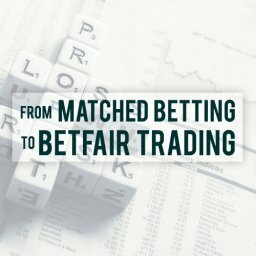 Since some of you may not be familiar with arbitrage betting, let’s explain this system first. The core of the strategy is to cover all possible outcomes in a certain betting market and make sure you will win no matter what. 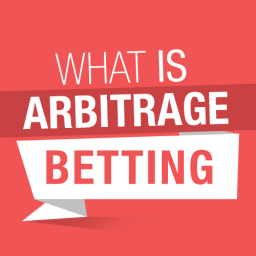 I’ve written a detailed guide with everything you need to know about arbitrage betting here. Obviously, this can’t happen if you use the same bookmaker, as the operators have a margin of about 3-10%. This means you will be losing 3-10% of your total bets if you decide to cover all outcomes of one market. 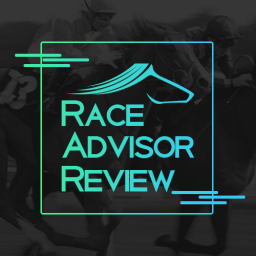 However, the competition between the sportsbooks and the fluctuation of the prices often creates situations where you can actually find odds that will return a profit no matter what. For example, let’s say you are looking at the over/under 2.5 goals market for a random football game from the English Premier League. A bookie like Bet365 will give you odds like 1.92 for over 2.5 goals and 2.00 for under. However, you find another site that offers a price of 2.20 for the over. This means you can place a bet in both operators and end up winning without taking any risks. The concept is simple, but it’s not easy to actually find such opportunities and take full advantage. The bookies are trying to avoid them at all costs and quickly adjust when something like that happens. It’s close to impossible to manually discover enough chances for arbitrage betting. This is where Rebel betting comes into play. 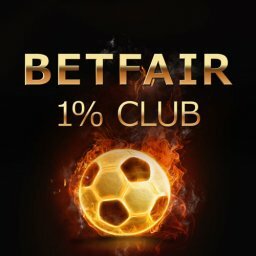 What Is the Purpose of Rebel Betting? The initial concept of Rebel Betting was born somewhere around 2006. 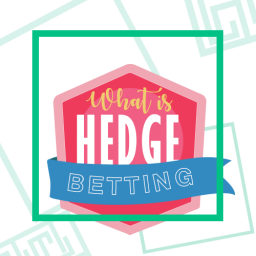 A couple of tech-savvy guys decided to create a software that goes through a large number of online bookmakers in the search of arbitrage betting opportunities. It took some development and testing, but Rebel Betting was launched shortly after. 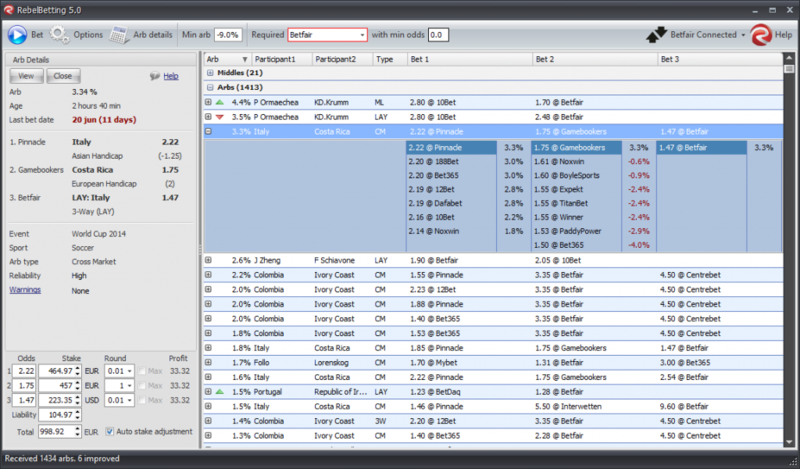 Fast-forward to this day and this is probably the most popular software for discovering arbitrage betting spots. It is considered the fastest one on the market which is the reason plenty of people from all over the globe are using the service. The team behind Rebel Betting kept improving it, so the whole program is focused on instantly finding odds that give you a mathematical edge over the bookies. Speed is essential and this is one of the top priorities of Rebel Betting. How many bookies and how many sports are included? Obviously, one of the most important aspects of such a software would be to include a large starting pool of online betting sites and markets. This will lead to much more arbitrage opportunities and the Rebel Betting team is well aware of the fact and is doing is best to constantly include more and more. 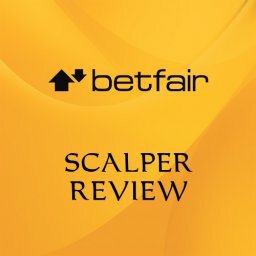 At the time of this Rebel Betting review, the software works with more than 70 different online bookmakers and covers a variety of sports. The list includes football, tennis, basketball, American football, hockey, rugby, Aussie Rules, baseball, and horse racing. As you can see, pretty much any popular sport or online gambling operator out there is included. This is one of the reasons Rebel Betting is so popular compared to other similar programs. With so much sporting events included, you will certainly find chances for arbitrage betting. What happens when Rebel Betting finds an opportunity for an arbitrage? When Rebel Betting finds a spot where an arbitrage wager is possible, it will display it to you on a list that shows a couple of different pieces of info such as the % you can get, the event, the bookies, and so on. If you are interested in a particular entry, you could investigate further and see more data. Simply click on the arbitrage that interests you and a new window will open. It’s called Arb Details. You will see important stuff like the bookies you should use, the exact markets, and there’s even a calculator. It will help you determine the size of the bets you need to make and your potential profit, based on the stake you are willing to invest. The guys did a good job at keeping the whole tab simple and efficient. I decided to include such a section in my Rebel Betting review, as the user face of any complex program is important. It should be easy to use and clear from the user’s perspective. I must say that Rebel Betting certainly is like that. Going through the different features is rather easy. On top of that, you can set up the whole program in any you find convenient for you. The whole experience is quite flexible. 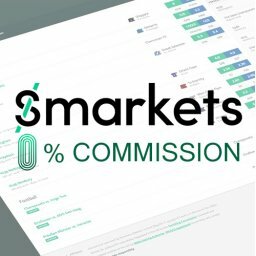 You can add and remove bookies or sports, as well as select other filters related to the time, the markets, and much more. There’s even an option to pick various sound notification for arbitrage opportunities that meet various requirements you can set. It probably would take under half an hour to customize Rebel Betting in an efficient manner. This will save you tons of time and improve your results over the long run. 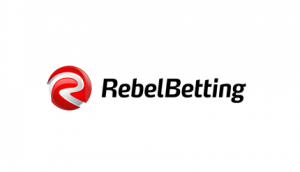 One of the newest modules of the Rebel Betting software is related to matched betting. If you don’t know the concept, let me explain. Thanks to the many bonuses and free bets offered by the bookies, sometimes you can make money without any risks. 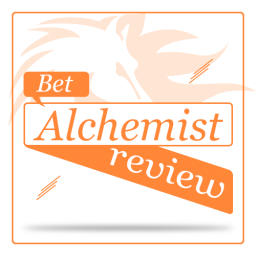 I’ve written a guide about Matched Betting here. 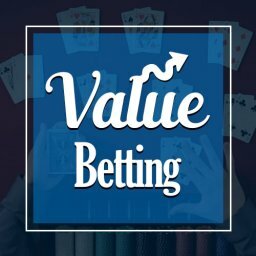 Essentially, you will be taking arbitrage opportunities and adding extra value because you will be playing with the cash the operators gave you to join them. There are certain wagering requirements, but by making a couple of other arbitrages, you can take care of them as well. Actually, the classic matched betting usually doesn’t even include arbitrages. However, Rebel Betting combines both techniques for the best results. 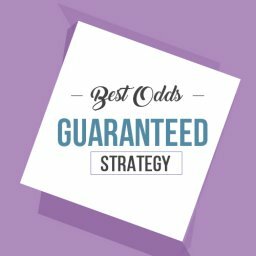 Most of the time, you are expected to make around 80-90% of the free bets value with the standard matched betting approach. This rises to potentially over 100% with Rebel Betting. The program allows you to find the best odds for the bookie and promotion you are targeting. The feature also includes a lot of alerts, customizable interface, and automatic currency conversions. 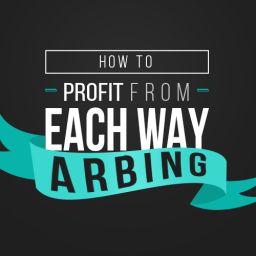 Simply put, you will have to do the bare minimum to secure your profits. Enterprise from €499 per month: if you need a custom software based on Rebel Betting, the team can provide. However, it will cost you a lot. Drop the line to Rebel Betting and a quote based on your requirements. 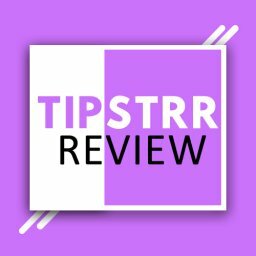 I believe that you should have a pretty good idea about arbitrages and Rebel Betting at this point. 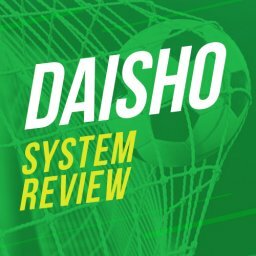 As with many other betting software solutions, there is no straight answer to the question if it is worth paying for it. It’s a complex issue based on your own personal profile, expectations, and approach. Loads of arbitrage opportunities: considering the number of supported bookmakers and sports, this is one of the best programs out there. It will quickly find many spots where are an arbitrage is possible and show all the details you might need. Easy to use and customize: you’ve certainly worked with various programs in your lifetime, so you know how important is to find an easy way to get the best out of a certain software. Rebel Betting lets you do that thanks to the many filters and features that are included. It doesn’t take long to find the optimal configuration that fits your needs perfectly. In-build calculator: there are plenty of arbitrage calculators online, but it would still take time to open one and use it. Rebel Betting allows you to instantly fill in the total wagers and see how the bets should be spread. On top of that, you will know what profit to expect. No risk betting strategy: unlike the standard type of betting, you will have the mathematical edge over the online bookies if you pick the arbitrages path. 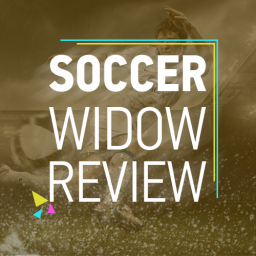 No more guessing and losing your wagers. Everyone can do it: it is possible to make money if you learn how to analyze previous results and other factors to complete a precise evaluation of sporting events. However, it requires a lot of effort and not every person out there can do it. This is not the case with the arbitrage system and Rebel Betting in particular. Matched betting module: this additional feature of Rebel Betting could help you make even more money from strategies that are risk-free and involve some promotions by the bookies. 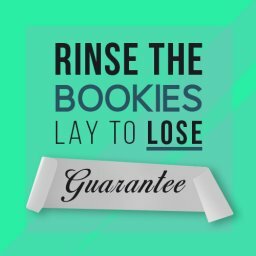 Flexible packages: the guys from Rebel Betting made sure to create a couple of different packages so each player can find a suitable option. 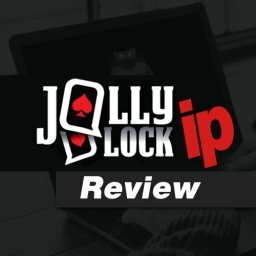 There’s a rather cheap version for people with a limited bankroll, a pro version, and even the opportunity to get custom software. Need for speed: you will have to be fast to take advantage of most arbitrages discovered by Rebel Betting. The bookies obviously don’t like losing money, so they hardly let such prices stay as high as required for too long. If you don’t act in a couple of minutes or hours (best-case scenario), you will miss your chance. It requires some time to become quick. Accounts in multiple bookmakers: obviously, you will have to place wagers in different bookies by default. This is the core of arbitrage betting. For that purpose, you will have to spend the time to join each sportsbook, as well as manage all the usernames, passwords, and other details. 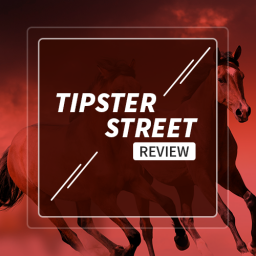 You will have to move your money fast: when you have 10 or even more accounts in various bookmakers, you usually will need a quick way to move your money. Fortunately, most e-wallets are a good option, but not all sportsbooks support. Also, sometimes you will hit other issues like differences in currency conversions and so on. Since you will be fighting for a couple of percentages in profit for most of your bets, you have to find a way around that. You need to invest to make some good money: one of your options would be to start with a solid bankroll. If that’s the case, getting a couple of percentages on each arbitrage is enough. The other option would be to invest a lot of time and try to take advantage of as many spots as possible. The bookies don’t like that: we all know how much the bookies are hate losing money. This is the reason they are constantly trying to stop all players who find an advantage, whether through arbitrages, matched betting, or something else. Obviously, this is exactly what Rebel Betting provides. As a result, there’s a risk of your accounts getting gubbed or completely closed. Terms and conditions: there’s no risk in arbitrage betting, but technically, that’s not completely true. The terms and conditions of the different bookies might be a problem in some special cases. For example, if a football match is suspended 5 minutes before FT. Some sportsbooks will accept the result, others will void it. You should be careful with that, as one or two events that go wrong could ruin you. 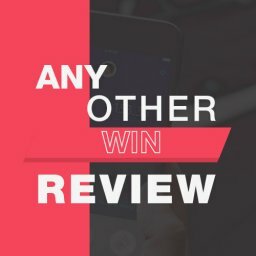 The logical end of this Rebel Betting review would be to share my conclusion about the software. I like it and I certainly believe there is value to be found using it. However, you need to have enough time and money to invest. If you do, you can find plenty of opportunities for some juicy profits. The other option would be to simply waste your cash. 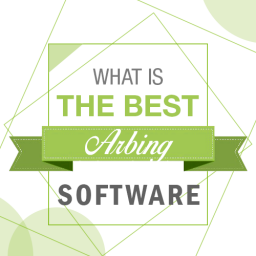 I’ve done a review of the best arbing software here. That concludes my Rebel Betting Review.